Orchid Family Dental in Richardson, TX: Root Canal, Fillings and more! Orchid's modern approach to achieving that perfect smile! Have a Dental Issue or Need a Free Second Opinion? "I will highly recommend Orchid Family Dental. Everyone was very professional. Dr. Jacob is an exemplary dentist with outstanding communication skills." "The staff is friendly and knowledgeable, and the clinic has up-to-date equipment." "Outstanding and pain free. Very friendly. I love this dentist. No pain during or after. She explains what she is doing before, during and after, which helps ease the anxiety." "The office staff is very friendly, helpful and professional. Dr. Jacob is kind, gentle, professional and uses modern dentistry. I highly recommend Orchid Dental for your family dentist." "Love the way Dr. Jacob explains everything to the kids so will feel comfortable." "Very good experience. Friendly staff and warm setting"
"Very kind and helpful staff! I had my 3 year old with me and they helped keep her entertained while I had my teeth cleaned. Truly made the visit much easier." "I must say, coming from IL, I was skeptical of this Dentist office location, not that it is bad, just in the "city" I'm from, which is roughly 150k, most are not nestled in amongst a strip malls so to speak of food venues, etc., but it does seem common here so I gave it a chance, and I'm glad I did. I don't know that I have ever been treated with such kindness, not only from the dental staff, but the Dentist herself. I feel there equipment was top-notch, and I received wonderful one-on-one service from Dr. Jacobs herself. I would recommend this Dentistry to anyone with the staff and Dentist I dealt with. I really appreciate their time and help in maintaining my dental health!" "Knowledgeable staff and Tiffany takes a hands on approach to patient treatment. I felt I knew more about my current dental health and how I can improve after the one on one attention." "Although I work for Dr. Jacob, I was first a patient. I would highly recommend her practice because of her honesty and integrity. She is very helpful and makes you feel at ease. She and Nicole take their time with each patient and make sure you have a complete understanding of everything they do. My husband, my daughter, and I have a family dentist who treats us like family. We are truly blessed." "Very friendly, professional, thorough, trustworthy"
"Excellent dental care! Awesome customer service and friendliness! You will LOVE Dr. Jacob and her team!" 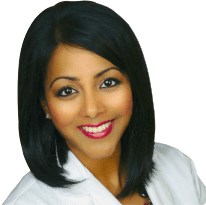 "I really enjoy going there for all my dental needs"
"Usually a visit to a dental office is not my favorite thing, but Dr. Tiffany Jacob and her staff always make me feel comfortable and welcome. I appreciate the care and concern everyone displays, and the "homey" atmosphere." "Everyone was friendly and went above and beyond to make my daughter comfortable at her first dental appointment." "Extremely personable and professional staff. Immediately felt as if I'd been a long time Orchid patient...comfortable from the beginning." "My visit was long (bc of the amount of work needed) but great. ??" "I was very happy with the service, the staff was friendly and helpful. I did not have to wait at all. I had my exam, explanation of treatments and the first treatment, on the same visit. I was told the truth, and not offered services I did not need, even though I thought my teeth need a lot of work, they did not try to upsell me treatments I did not require." "This really was a good and friendly dental clinic thanks to all the staff"
"I'm thoroughly impressed with Dr. Jacob and her staff. Went in yesterday as a first-time patient with an emergency root canal and could not be more pleased with the result and treatment that I received. Dr. Jacob and Joann were terrific and gamely worked through their lunch hours to perform the root canal and install the temporary crown (thank you again, I was in so much pain!). I am so appreciative that Dr. Jacob took the time to explain my X-Rays and the procedure to me... even while I was numbed up and kept trying to ask questions throughout (she understands cottonball mouth & hand gestures very well!). I loved the ability to watch Netflix during the procedure to keep my mind off the drilling, and even more so loved that Dr. Jacob and Joann laughed along with me to silly episodes of Friends! A lovely dental practice and staff, and one that I will recommend to my friends and neighbors ." "I have known Dr. Jacob and seen her dental work first handedly as we worked together in the same office for many years - I was the Orthodontist in the office and she was the General dentist. Her esthetic work is top notch! The cases we worked on together turned out stunning!! I truly enjoy working with her and highly recommend her !" "Since when did someone come away from a dental appointment thinking that was a wonderful experience? Well, that's the only way to describe the wholesome atmosphere and confident staff. When you have that combination you're in for a great experience, which I had." "Great to see a dentist who truly is passionate about her job! Dr. Jacob and staff also made my kid’s first dentist visit a pleasant one…she’s already asking to go back. Would certainly recommend Orchid Dental to anyone looking for a new dentist!" "Great dentist and great staff. Best cleaning I have had in a long time and my kids love them too. I highly recommend Orchid Dental!" "I started coming to Orchid Family Dental in 2012 per recommendation of a dental hygienist that was a close friend. I’m only 24 and have had horrible experience with dentists for the past 6 years. I had 3 different opinions on a treatment plan that was going to cost out of pocket over 10K after my “awesome” dental insurance. I felt defeated and had to except that I’d never have beautiful teeth. I was incredibly self conscious of my teeth until I started working with Dr. Jacobs. Dr. Jacobs is very down to earth and has great compassion for her Patients. Before, I would leave the dentist office in tears. Now I leave with hope, knowing that having a beautiful smile is going to become a reality. Dr. Jacobs truly listened to me and didn’t stop trying to find better solutions. I’ve never had my teeth cleaned so well and have never been in a dental/medical office with such a great atmosphere. If you’ve never seen Dr. Jacob and her team, you’re really missing out!" "My kids enjoyed coming to visit Orchid Family Dental. The staff was super friendly and helpful and we were in and out in no time for our cleanings. Look forward to a long relationship with this dentist!" "The staff, service, and professionalism was excellent. I will definitely be back. Highly recommended!" "I always thought I would get my bottom teeth fixed “eventually” but never got around to it. At first, I was skeptical about whether or not to use Invisalign to straighten my teeth, but I am very glad I decided to make the investment! In just about ten months, my teeth were straightened using the clear, comfortable, and easy-to-remove aligners. I would like to thank Dr. Jacob and staff for their impeccable patient care and dedication to their clients. I have always found her to be very professional with a personal touch to service and a true professional at her craft. I would highly recommend her to anyone looking for excellence in overall dental care!" "Great experience! My cleaning went as planned. Dr. Jacob was very helpful with her recommendations. Will definitely be back!" "It was a unique experience. Very friendly and professional service. Dentist explained the services to be done and the benefits in details. We are glad we finally found a family dentist that we love. Highly recommended." "Best office ever! I am very picky with my dental needs and dr Jacob has surpassed my expectations! Very honest and trustworthy!" "Best dental experience ever. My teeth still feel squeaky clean 3 days out. The office is clean, beautifully done. The staff very professional. The dentist, detail oriented, smart, kind. Great use for state of the art technology, offering to apply cocoa butter on your lips are they work… priceless. She spends a good amount of time on your case. If you need more work, say fills etc, they give you a price list, very fair, and offer to do it right there or in future, no pressure. As a healthcare professional myself, I conclude she is a good mix of modern day practice, above average attention to detail and days-gone-by hospitality." "Dr Moya, You are phenomenal! That was my best dental experience ever! Gayla was sweet also, & very attentive. I definitely plan on spreading the word about your state of the art office, the warm water while cleaning my very sensitive teeth. That was wonderful. The blanket was a special touche. I did not feel like I was a part of an assembly line being rushed through. This will be the beginning of a long term relationship! You are so thorough, skillful and knowledgeable, as well as a great listener. I will share with all of my co-workers as well as my friends and family! Thanks so much! Janice"
"Great dentist! Dr. Jacob is the one doing all of your work and it is her practice her name behind everything done here. She is very thorough, and she cares about her patients. We all love her even our three year old!" "Best dental office in area!! Dr. Jacobs is an incredible dentist - very friendly, caring and eager to address your needs. We have been to several dentists within the area - she is by far the best and we couldn't be happier with her services!!" "We LOVE Orchid Family Dental. I was looking for a new dentist for my family and Dr. Jacob is the best one I have ever had! She and Nicole were so great, especially with my 4 year old who had not had positive visits with the other dentist we had been using who was a pediatric dentist. They were even able to get x-rays of my daughter's teeth along with cleaning and a fluoride treatment. When we left my daughter said, "Awe, they were so sweet!" I cannot say enough great things about this office! Dr. Jacob was wonderful and took her time to explain everything and was just so down to earth! THey were very flexible with scheduling as well! We have found our new Dentist!!! THANK YOU Dr. Jacob and team!!! " "Dr Jacobs is awesome! From scheduling my appointment, to arranging the next visit it was very personable experience in a comfortable atmosphere the entire way through. Nicole and Dr Jacobs were so professional, yet easy to talk to and fun to talk to. I'm new to the area and was looking for a good dentist that could get me in quickly to address a cavity I had been feeling for weeks! Other offices had 4 week waits for new patient appointment, EXCLUDING any treatment! Orchid Family Dental was able to get me in quick, AND also do treatment that same day! After calling other places and not getting anywhere, I couldn't be more grateful they were able to act quickly. The office is small but very lovely and elegant. I honestly can't wait to tell people to visit Orchid Family Dental so they could be as happy as I was with their experience. " "Very great office and staff!! I was able to fill out my paperwork in advance, I didn't have to wait I was seen immediately. The staff was phenomenal! Last but not least Dr. Jacob was awesome very down to earth and she was simple and fast! Was a great visit!!! I trust Orchid Family Dental with my smile "
"Dr. Jacob is a wonderful & knowledgeable dentist who made me feel very comfortable on my first visit. Her staff is great, too!" At ORCHID Family Dental our initial goal is to earn your trust from the moment you walk into our office. We believe the absolute best dentistry we can provide will only take place when there is a strong bond of trust with our patients, and we’re all working together toward the common goals of healthy teeth and gums and a beautiful smile. We know that no two patients have the same problem and that many patients have different levels of apprehension about visiting the dentist. Thus the most important thing we can do when providing Dental Services in Richardson Texas is to listen to our patients. Whether you or your loved ones are concerned about pain, have had past dental experiences that have been traumatic, or are simply ashamed of your own perceived dental shortcomings, we will treat you with compassion, respect and understanding. Visit ORCHID Family Dental and enjoy Flatscreen TVs, refreshments, a kids play area, free WiFi and more! We’ll treat you with the utmost comfort and convenience while waiting for your turn with the dentist and during all dental care procedures. We provide a complete range of Dental Services in Richardson Texas using a variety of leading techniques to ensure that perfect smile. We think after your first visit, you will have a new dental home for your entire family. Call 972-424-3555 to schedule an appointment! No Insurance? Check out our Orchid Dental Advantage Plan!